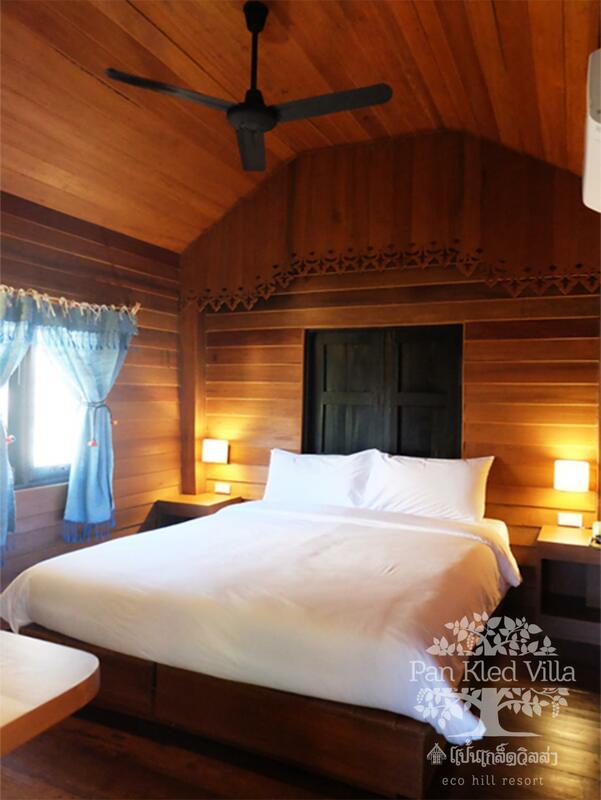 Have a question for Pan Kled Villa Eco Hill Resort? "The area of resort is nice and beautiful, i like it." "Staff were very attentive and kind." Conveniently located in Chiang Rai, Pan Kled Villa Eco Hill Resort is a great base from which to explore this vibrant city. The city center is merely 3.0 Km away and the airport can be reached within 20 minutes. With the city's main attractions such as Doi Phrabat Temple, Chezmoi Handicraft, Sankhong Happy Street within close reach, visitors to the hotel will just love its location. 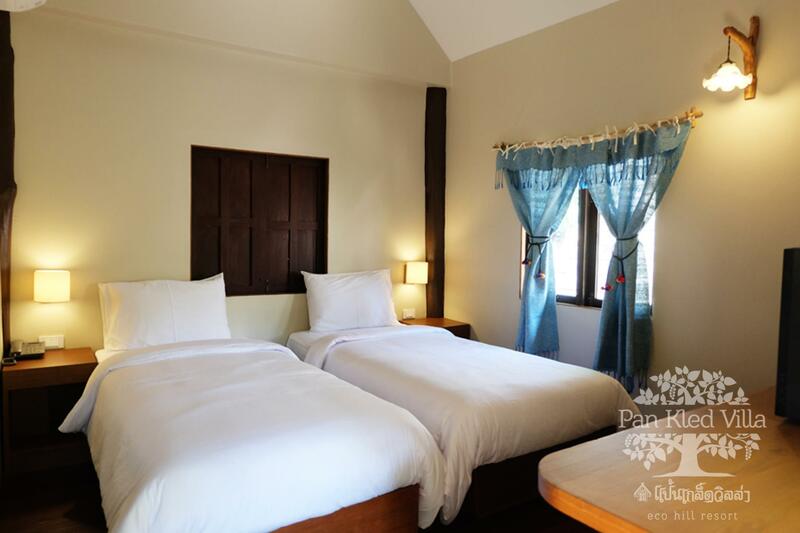 Pan Kled Villa Eco Hill Resort also offers many facilities to enrich your stay in Chiang Rai. Guests of the hotel can enjoy on-site features like free Wi-Fi in all rooms, Wi-Fi in public areas, car park, room service, airport transfer. All guest accommodations feature thoughtful amenities to ensure an unparalleled sense of comfort. Whether you're a fitness enthusiast or are just looking for a way to unwind after a hard day, you will be entertained by top-class recreational facilities such as garden. 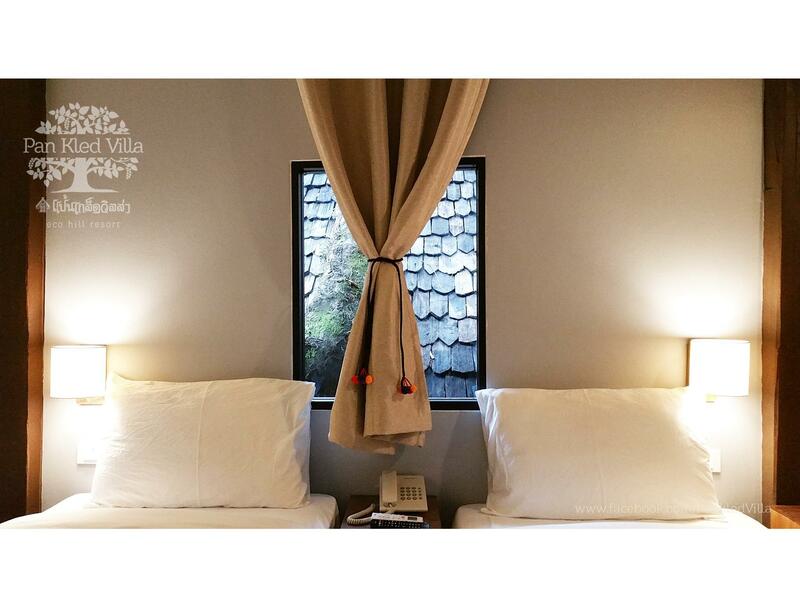 Pan Kled Villa Eco Hill Resort is your one-stop destination for quality hotel accommodations in Chiang Rai. "Good staff ans good restaurant." This was one of our favorite hotel's during our honeymoon trip in SE Asia. The rooms were very comfortable and spacious, the atmosphere was great, and the pool was lovely. Food was good and although the prices were a bit higher than local restaurants, I would not say they were overpriced. The front desk organized a car/driver for us to tour some of the local sights. Location isn't fantastic, but they staff is very helpful and will call a tuk-tuk or taxi anytime you need. Very friendly and helpful staff. The pool area was very nice. Breakfast and regular menu were very good. The walls of the little villas are very thin though so you could hear everything said in the villas next to you. Only downside. The facilities were beautiful, the staff was wonderful, and the pool was really nice. The cons are the noise from the area around the the hotel (chickens and road noise), and American breakfast was terrible. Rather than trying to offer eggs and meat, just offer something like musli and yogurt and mixed fruit. Simple, cheap, but tasty. We came from Chiang Mai after the busy Loy Krathong & it was a nice place to decompress. Each room was a detached adorable bungalow in a garden oasis. The pool was also exceptional. Great breakfast, although it was the same two options every morning. The staff was also very friendly but some spoke very little English so at times it was a little harder to communicate what we needed, for example, reserving motor bikes and bicycles. It caused confusion and they gave away our reservation to another guest, frustrated we had to go into town which cost us more money. You must take a tuk tuk or taxi into town, about 8 - 10 min. Also, the bathroom in our bungalow was a bit small and water pressure was horrible. We ended up showering in the showers near the pool area. Otherwise, the pros outweighed the cons because I would stay again if visiting Chiang Rai. Wonderful staff, excellent food, very nice villas, and even has a Tesco a short walk down the road! Stayed here for 3 nights. We really enjoyed it. The breakfast had a lot of meat and I was a vegetarian but they easily just made without. However nothing was used to replace the meat. The staff were wonderful and the rooms were so cute. We would definitely recommend this place. This is a wonderful place to stay if you want a quiet place that is still close to the center of the city. The swimming pool was excellent, and the grounds are beautifully landscaped. The staff was friendly and the on site restaurant had good Thai food. The rooms are on the small side, but the bed was very comfortable. I will definitely be back for some repeat visits. It's a quiet, peaceful place to stay. The rooms aren't fancy, but they're clean and comfortable. We had some large ants in the bathroom, but that's expected in a cabin in the woods. The staff were very friendly and helpful. They made me vegan jok for breakfast. It was so delicious. We booked one night and ended up staying for 3! The staff was amazing and always helped us out when we were looking for information or needed transportation. The included breakfast was pretty good and the food at the restaurant was good too. The villas are cute and the beds are SO COMFORTABLE which has been hard to come by in south east Asia! Air conditioning worked and the rooms were clean and had everything you needed. Loved Chiang Rai and this hotel would be my first choice should we return! Not a bad little place, friendly staff, decent food. Bungalows are simple and small but nice. Coffee is bad, breakfast weak. It is not walkable to center of towns and attractions. Budget 100bt each way by tuk tuk. Pool is nice n beautiful. Staff super nice. The hotel is located a little far from the town center. So if peace and quiet is your thing, then this is the place for you. They do offer their own Songtew service to town so when you do feel bored, you can always have that arranged in the front desk. Room is very small. If you come with a baby or kid . I think this is not suitable for you. The area of resort is nice and beautiful, i like it. I am a thai people. Everything is good. Except room is small so Compare with another hotel it s a little bit expensive.